ITANAGAR, Feb 9: Prime Minister Narendra Modi Saturday inaugurated and laid foundation stone of projects in Arunachal Pradesh worth over Rs 4,000 crore and said his government was giving a lot of importance to improve connectivity in the sensitive border state. Addressing at function at IG Park here, he said his Government was giving importance to improve the highway, railway, airway and power situation in Arunachal Pradesh, which was neglected by the previous governments. 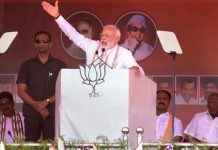 Terming the state “pride” of the country, Modi said it is the gateway of the nation as it guards the frontier. 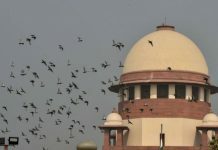 It is the duty of the government to develop the state at any cost, he said. “Arunachal is a symbol of faith for the country as it gives us strength. 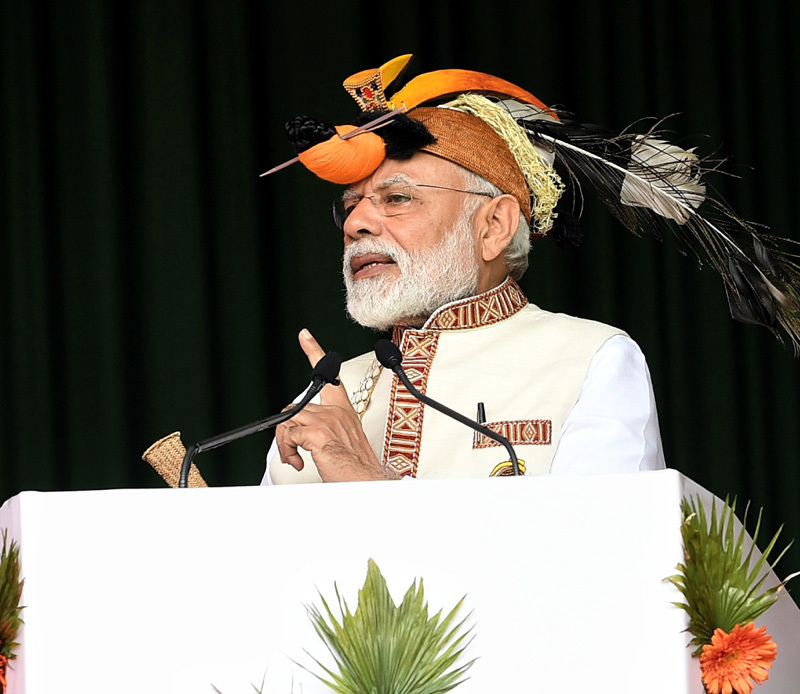 The people used to greet each other with ‘Jai Hind’ and I salute the people for their patriotism,” the prime minister said adding, India will develop only if Arunachal and the entire northeast develops, he said. 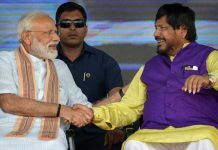 “In the past 55 months, I have paid several visits to Arunachal Pradesh and today inaugurated and laid foundation of projects worth over Rs 4,000 crore,” he said. 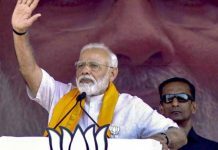 The prime minister said work is going on for projects worth Rs 13,000 crore in the state and alleged that the previous regime neglected the northeast region. “Compare us with the previous government and see the difference,” he told the audience. 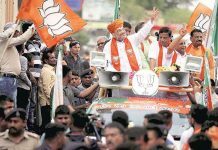 Modi added that his government has allocated Rs 44,000 crore for the region which is double of the previous UPA government. The previous governments did not care about youth and border security, he claimed. The Tezu airport will connect Guwahati, Jorhat and Hollongi. Fruit and flowers of the region can reach any market of the country in a few hours, he said. 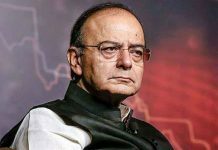 Terming tourism as a money spinner for the state, the prime minister said that with the coming up of the greenfield airport and rail network, the industry would flourish and many unemployed youth would get employment opportunities. The prime minister laid the foundation stone of Sela Tunnel in Arunachal Pradesh. It will provide all weather connectivity to Tawang Valley for civilians as well as security forces. The tunnel will reduce travel time to Tawang by an hour and boost tourism and related economic activities in the region. He inaugurated the new Doordarshan 24-hours channel for Arunachal Pradesh, DD Arun Prabha. The channel will be the 24th channel operated by Doordarshan. The prime minister also dedicated to the nation the 110 MW Pare Hydroelectric Plant. The hydro elected project constructed by NEEPCO will harness hydro power potential of the river Dikrong (tributary of Brahmaputra) and provide cheap hydro electric power to the northeastern states, thereby improving power availability in the region. Modi also declared 100 per cent household electrification in Arunachal Pradesh under Saubhagya Scheme. He also laid the foundation stone for a permanent campus of Film and Television Institute of India (FTII) at Jote. 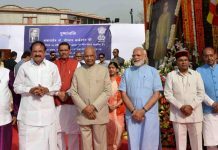 The prime minister inaugurated 50 health and wellness centers in the state also through a remote at the function at IG Park here. He said under the Ayushman Bharat scheme, 50 health and wellness centres have been inaugurated which would provide medical care to the poor and needy especially pregnant women. 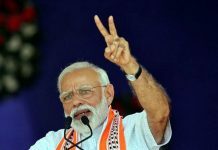 “In this year budget we have introduced a new scheme PM Kishan Sanman Nidhi, under which an amount of Rs 6000 will be deposited to the account of the farmers per year who have only five acres of cultivable land in order to support them,” Modi said and assured all possible support to the state. 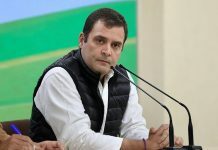 He said the development trajectory of the state is taking at a faster pace with NDA and Pema Khandu-led BJP government in the state are working in close coordination. 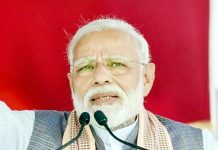 The prime minister said under the UDAN scheme, steps were being taken to provide service of civilian aircraft at a lower cost in the state and road projects worth 50,000 crore are going on which will connect about 1,000 villages. 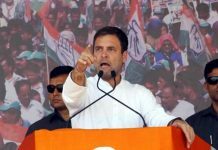 “In several places of the state, survey is going on for construction of railway lines out and the survey was completed in three places,” he said.